After a smaller square is removed from a larger square, what will happen? 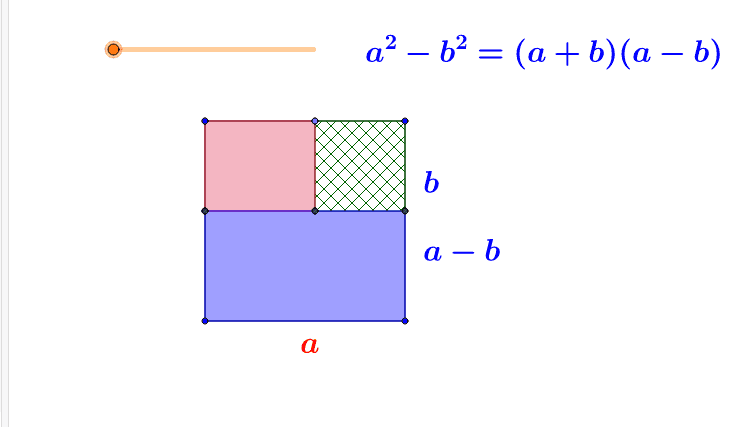 After a smaller square (side =b)is removed from a larger square (side = a), the remaining part acan always be re-assembled into a rectangle. This rectangle has sides (a+b) and (a-b) respectively.